A map showing the Barnsbury ward of Islington Metropolitan Borough as it appeared in 1916. 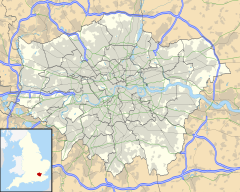 The name is a corruption of Bernersbury (1274), being so called after the Berners family: powerful medieval manorial lords who gained ownership of a large part of Islington after the Norman Conquest. The area of Barnsbury was predominantly rural until the early nineteenth century. Pentonville Prison (built 1842) is located within Barnsbury. This page was last edited on 22 March 2019, at 21:32 (UTC).